May buy 3 for yourself and 2 additional as gifts. May redeem 1 per table per visit. Not valid for lunch buffet. Must purchase meal. Valid for dine-in or take-out. Take-out requires purchase of at least 2 entrees. Tax and gratuity not included; tip on the pre-discounted amount. Expires 3 months after purchase. See the terms that apply to all deals. Tadka Indian Restaurant offers traditional Indian favorites — using their own unique approach to both preparation and ingredients. 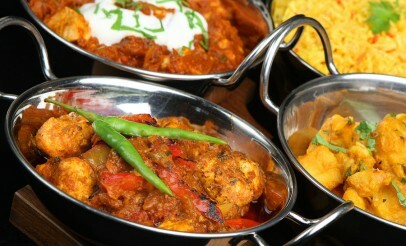 Their menu includes flavorful dishes such as chicken tandoori, lamb vindaloo, shrimp tikka masala, naan and much more!